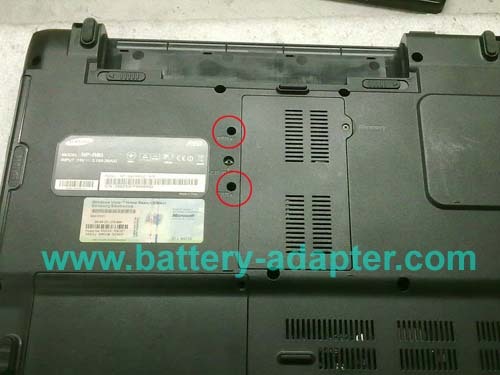 In this guide, the laptop we will disassemble is Samsung R60. 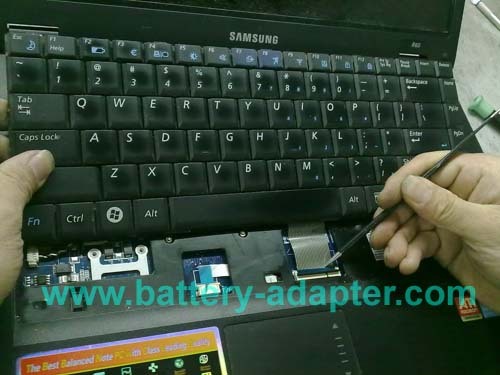 The procedure on disassembly Samsung P510 P560 R510 R560 R70 should be the same. First of All, turn off your Samsung R60 / R510 laptop. 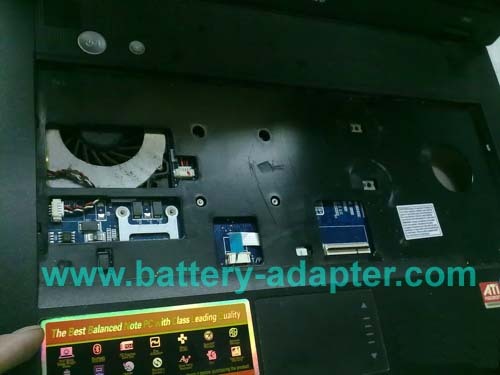 Remove the battery and disconnect the power adapter. 1. Turn the laptop upside down. It is recommended that it is placed on something soft so as not to scratch the lid. Remove the two screws circled in red in the image. 2. Open the screen. 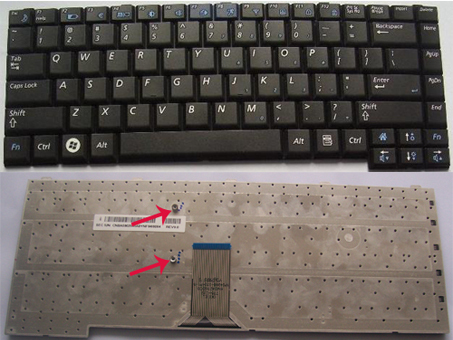 Release the keyboard from the bottom of the keyboard by a flat tool. 3. 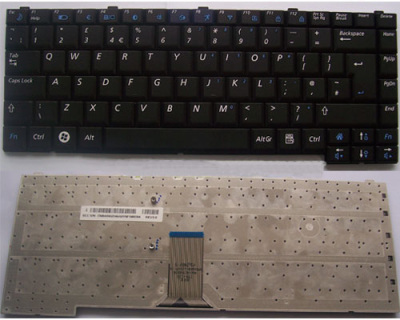 Lift up the Samsung R60 / R510 keyboard a little. Unlock the keyboard cable connector and unplug the keyboard cable. 4. Remove the Samsung R60 / R510 keyboard. 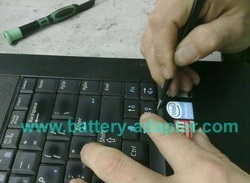 Reverse the procedure to install the new Samsung R60 R510 Keyboard.